If I say I owe you $10,000, and I am willing to pay you $4000, will you let me go that easy? From where will you compensate the loss of $6000? Was $4000 the agreed upon amount? Won’t you want to know the reasons why I won’t be paying you? Won’t you bully me for the loss you are about to make? Debt settlement is like you ask for Hamburger and get only those round slices of bread for the price you pay. We have got a situation and therefore a solution for it. You messed up your debts and now let's discuss the ways for settling it. This is a promising way to settle your own debts. Do It Yourself or DIY debt settlement is when you settle your debts with the creditors without the help of any third party or with professional help. You need to stick to the agreement; that is, you need to make the payment on time. Get a thorough knowledge of your total debts, and negotiate accordingly. Don't be abrupt at making negotiations. Offer an amount that is legit both for you and the creditor. A wrong approach might even cancel the DIY debt settlement agreement. There is no room for you to lie. Be definitive and say what's the truth. Make your creditor understand your financial condition. Convincing is all you need to do. You must understand the status of the debt you owe. You must check out, whether or not your debt has been passed to a collection agency and is still under the statute of limitations. When the debt is still circulating around the original creditor, then negotiating will be a lot easier than dealing with a collection agency. If your debt is currently handled by a collection agency, then you might consider a letter of debt validation first. You obviously want to know whether or not the collection agency is authorized to sue you for the debt. There is a statute of limitations for every loan and credit account. If your debt exceeds the statute of limitations period, then you are a free horse to gallop away. The creditors and/or lenders cannot file a lawsuit against you. It is ethical not to negotiate the final settlement with a debt collection agency over the phone. Sending a payment agreement letter via a certified mail with return receipt request is the most convenient procedure. Collection agencies will always try to get the entire outstanding balance from you. Talking to them over the phone can make things worse. If it is the original creditor, then you may call the personnel, explain your financial situation, and have a brief talk about what will be the lump sum amount you are ready to pay. Always remember not to end your conversation in a rogue tone. If you do, then your creditor will try other options to sue you and might hand over your debt account to a collection agency, which will make things more difficult. Your explanation of why you are unable to pay the total debt should be simple and to the point. If even for once they get a hint that you are lying, then your chances of negotiating will go down rapidly. Should you use the bankruptcy threat? Bankruptcy is a word that all creditors are afraid of. They always want something than nothing. Declaring bankruptcy will close all the gates for them to get money from you. But before you do use the term bankruptcy, make sure that you really have nothing to lose. Declaring bankruptcy will make the creditors do a background investigation on you. They don't want you to escape just like that. They are not fools; they already have detailed information about you and your personal life. So, your reasons to prove your ongoing financial hardship must appear true. No lies and loopholes from your side must be visible. But using the bankruptcy threat will add a depth to your negotiation. It will make your creditors believe that this is the last chance for them to get something from you. The one good way to opt for debt settlements is to get a negotiator. 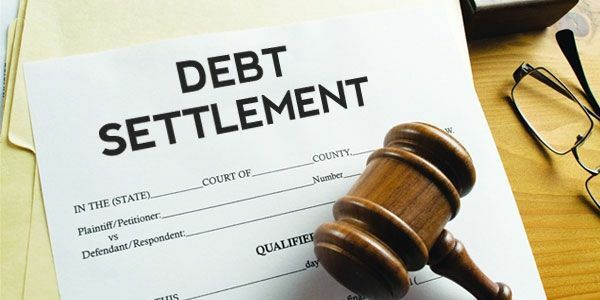 The settlement company will offer you complete guidance and help you with debt reduction. You deposit an agreed upon monthly payment to an escrow account, and once sufficient amount is accumulated, a settlement is done by paying a lump sum amount to the creditor. Read more if you want to go for a non-profit debt settlement. This is where you need to be choosy. You must check the settlement company’s background before approaching one. The last thing you would want is all your money drained for nothing. Check out the company’s accreditations and goodwill. Go for the company that offers good service against minimum fees. Also, check out if they are able to save you a handsome amount at the end of the program. There should be at least 25-30% off on your total debt owed. Searching for a Saul Goodman is never a bad start. A good lawyer with high verbal skills is always your catch. Some people do take help of law firms for negotiation and we would say it is not a bad decision. First, try to settle the debts yourself. If you think this is not your piece of cake, then going for professional help will be the best option. No matter whatever process you follow to settle your debts, make sure you achieve approximately your target amount. We are talking about savings, as that’s the main reason why you are opting this method. Your negotiated amount should make you save at least 30% of the total debt. After you are done with the settlement, you can do one more thing. You can ask your creditor to give you a proper rating on your credit report for this account. Although there are huge chances they won't do that, but what’s the harm in asking? Even though your credit scores may fall after debt settlement, with proper financial management, you can boost your score with time. Redirect here for more information on debt settlement.